Dr Nav Chana is currently a Director of the National Association of Primary Care (NAPC), having been the former Chair. He has been a GP at the Cricket Green Medical Practice in Merton for nearly 28 years; the practice is part of the East Merton Primary Care Home. Previously he was Clinical Adviser for Workforce Redesign for the new care models programme, Director of Education Quality for Health Education South London and Postgraduate Dean for General Practice and Community-Based Education. During his time as a healthcare professional, Nav has always been interested in doing things differently; in particular, how to improve patient care with policy and horizon scanning, in order to secure the most positive outcome for his practice and practice community. We sat down with Nav to discuss his views on healthcare, what interests him about the NHS and his involvement with the NAPC. Nav’s appetite for transformation arose when GP Fundholding was introduced in 1988. This enabled colleagues and GPs to take greater responsibility for health resources in certain areas e.g. out-patient pathways, mental health, community services and prescribing. This meant that the practice could influence directly the commissioning of services for its patients. Essentially, GPs could mobilise services that patients needed and provide them directly if needed. In this way, the practice used to have its own mental health team, direct access to MSK physiotherapy and practice-based clinics for many long-term conditions e.g. diabetes, rheumatology, cardiology. The mental health team, for example, was specially designed around the needs of people with mental health conditions in East Merton and comprised a consultant psychiatrist, CPN, mental health OT and a social worker. Nav was initially attracted to the NAPC because of the energy around innovation of general practice and primary care, and how it was possible to design great care around patients and populations by learning from many examples across the country. Throughout his career, Nav says he has enjoyed connecting with those who saw the world in a similar way, from his time as a Royal College of General Practitioners (RCGP) examiner, to working as a GP and now. He says it’s the link between education, training, innovation, service transformation and research which gives him great motivation as this has the power to embed service change in a really meaningful way. 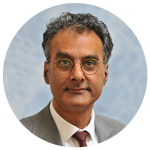 In 2014 Nav was elected to be Chair for the NAPC, his tenure in this position ended in 2018, when he handed the mantle over to the (then) Vice Chair, Dr Minesh Patel. 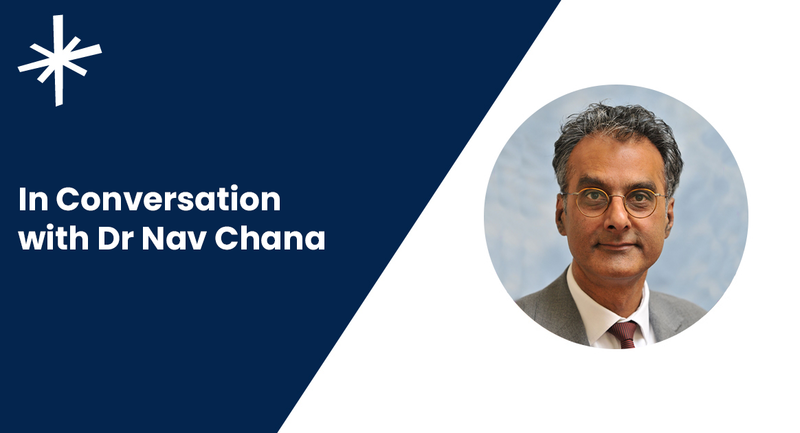 Nav discussed with us some of the toughest challenges he faced during his time as Chair, such as helping to launch the new Primary Care model, as well as remaining a proactive partner in his practice. What does good look like for Nav? Nav feels strongly that there are problems with the traditional way of workforce planning. He explained: "The health and care service needs a growing workforce, but it’s also crucial to note that we are working in a ‘system of care’ and we need to maximise the value of the skills and expertise of our workforce by creating the environment in which these skills flourish. Currently, the siloed nature of working across different health and care sectors can get in the way of the collaborative culture needed." Look beyond just solving the access problem by numbers. Consider skill mix and digital solutions, where the evidence exists, and they can add value. Population health management approaches can help with this. Decision makers need to think about how to bring together wider teams and focus on proper team-based working with meaningful interactions. Thinking from the perspective of new students and learners, collaboration is one factor that makes healthcare fun – it’s the notion of sharing the ‘pain and gain’ together, not spending hours in isolation. Many providers currently work separately and focus on the needs of their own organisation or department. They still help the population and provide care, but it’s not as efficient as when they collaborate – which has been proven to offer benefits to patients and the workforce itself. Engage people in the right way and build trust. If something has a complex narrative, then it needs to be explained in a clear and easy-to-understand way. You need to win the hearts and minds of people in the profession, people who already know what it’s like in a day at work. Describing his views on where the system needs to focus its attentions, Nav explained that in order to drive a good population healthcare approach, both access to care and continuity of care are important depending on needs of people. We often think of access alone and forego the need for continuity, which is a great strength of primary care. The idea of ‘access’ is not the same for everyone. There are some patients who may be happy with digital methods, while others will need to have face-to-face consultation, especially those with a disability, or with other complex needs. Access requirements and opportunities need to be considered, because there is no single or universal solution. Nav would like to see more focus on factors that support health and well-being. For the long-term benefit of the population and the NHS, it makes sense to think Prevention (with a big ‘P’), as well as high quality care when people are ill. Going forward, Nav welcomes the NHS Long Term Plan and is looking forward to integrated care systems (ICS), in particular the potential of what they will offer patients and how they are changing care to improve the health of the populations they serve. It’s essentially an extension of what Nav has been working on for the majority of his career; different organisations working together to provide a more aligned and efficient method of care for patients. Dr Nav Chana served as NAPC Chair for four years and has been integral to the development and roll out of more than 200 primary care home (PCH) sites across England. He has been a GP at the Cricket Green Medical Practice in South West London for over 27 years. Previously Nav was Clinical Adviser for Workforce Redesign for the new care models programme, Director of Education Quality for Health Education South London and Postgraduate Dean for General Practice and Community-Based Education. Nav has also served as an examiner for the Royal College of General Practitioners MRCGP examination.